Police in Largo are searching for a man who they say dressed up as a woman and used a stolen credit card and stolen Florida Driver's License to fraudulently buy a fawn colored French Bulldog from a puppy store in October. LARGO, Fla. — UPDATE: Largo Police Department detectives have located Bryant Farfan in Hillsborough County. Farfan has been arrested by the Hillsborough County Sheriff's Office for outstanding warrants in their jurisdiction. Largo Police charges in this case for Grand Theft and Identity Theft are pending arrest warrants from the 6th Judicial Circuit. Farfan, who goes by the first name Bryant, is being interviewed by LPD detectives at this time. The French bulldog has not yet been located, but detectives are following leads and are hopeful the dog will be found unharmed. ORIGINAL STORY: Police in Largo are searching for a transgender woman who they say used a stolen credit card and stolen Florida Driver's License to fraudulently buy a fawn colored French Bulldog from a puppy store in October. 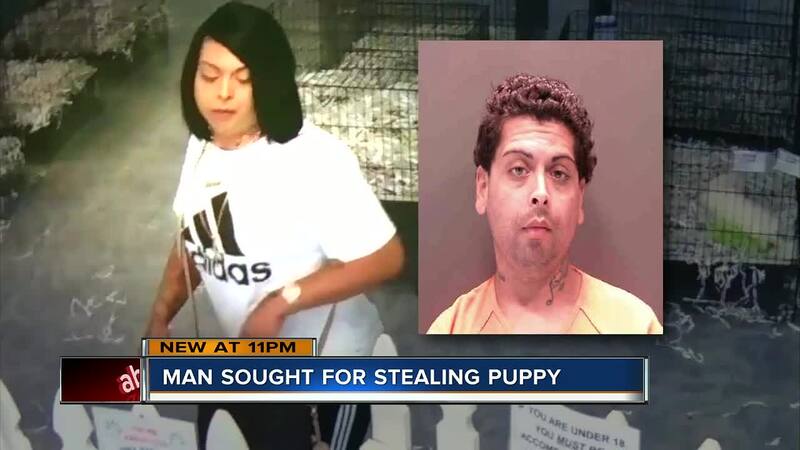 Bryant Farfan used a stolen credit card and a stolen Florida Driver's License to buy a fawn colored French Bulldog valued at several thousand dollars from All About Puppies, located at 7190 Ulmerton Road in Largo, according to police. The puppy store told police that Farfan falsified adoption records and misled the store employees regarding the dog's future home. The store's manager told ABC Action News she wants the puppy safely returned. "The only thing we are hoping for is the safe return of our puppy. We're offering a $1,000 reward in hopes that someone will do the right thing and return her to us," said store manager Allie Julian. Police say probably cause exists for Farfan's arrest and arrest affidavits are active in Pinellas County. The store employees say they are worried about the dog's welfare. Police and the store employees are seeking any information which might lead to the recovery of the puppy. 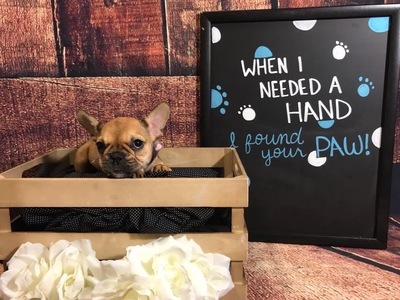 Largo Police say if you have purchased a French Bulldog from Farfan recently, to please contact detectives and the staff at All About Puppies to determine if the animal was stolen from this business. The puppy was 8 weeks old when the picture below was taken but is currently 5 months old. All About Puppies is offering a $1,000 reward for the safe return of the puppy. If you know the whereabouts of Farfan, please contact Detective Steve Allred or Detective Lance Moore of the Largo Police Department at 727-587-6730, reference case number 18011902. EDITOR'S NOTE: Originally, Largo Police Department identified the suspect as a man who dressed up as a woman as a disguise, to purchase the dog fraudulently. The investigation revealed Farfan is a member of the transgender community.